Tucked away in a remote corner of Argentine Patagonia is a pristine fishery which is home to a population of wild Brook Trout the likes of which are the stuff of legends. Three to five pound fish are the norm, and ten+ pound trout are a very real possibility. A series of interconnected lakes drain into a stunning backcountry river valley framed by the jagged Andes mountains. The habitat in this system is ideal for trophy brook trout, and many believe a world record fish may be found here. 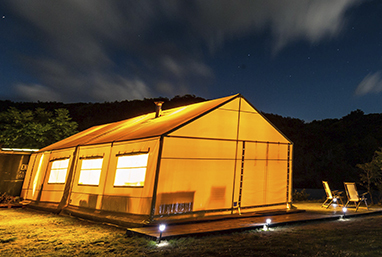 El Encuentro’s Brook Trout Basecamp offers unparalleled access to this brook trout Valhalla, and affords visiting anglers a comfortable, well appointed camp with all of the comforts of home in this remote corner of central Patagonia. 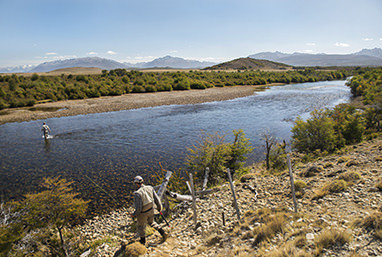 In addition to the fabled brook trout waters, other classic argentine fisheries like the Rio Corcovado and Rio Pico region are within easy striking distance from camp providing opportunities at trophy brown trout and rainbow trout as well. 11/23/2018 | A new fishing season! 07/23/2018 | EARLY SEASON FISHING WITH EL ENCUENTRO FLYFISHING.